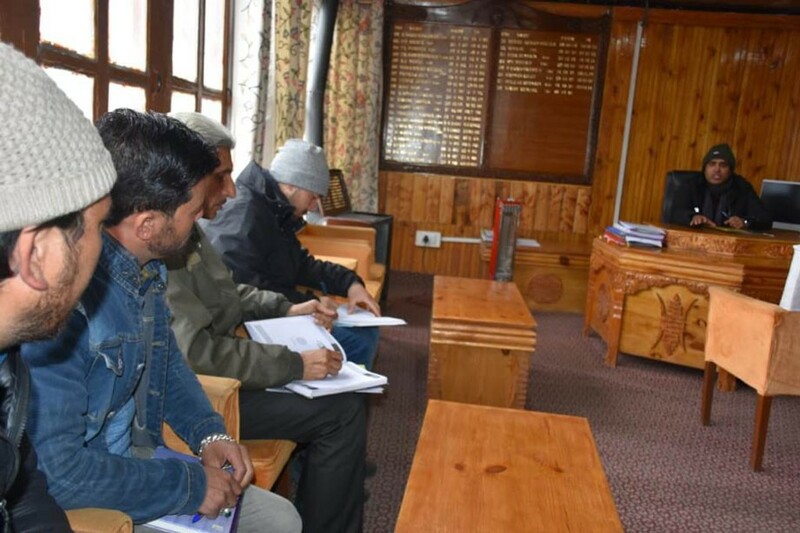 In a meeting with all the telecom operators, Baseer ul Haq Choudhary, DC, Kargil stressed on to provide seamless and uninterrupted mobile, landline and internet services especially during the upcoming General Elections 2019. The meeting was convened on March 24 at DC office and representatives of Bharat Sanchar Nigam Limited (BSNL), Airtel and Jio telecom companies were present. Baseer ul Haq Choudhary expressed unsatisfactory voice call and internet services by mobile operators in most of the areas. He warned the representatives of telecom companies to take immediate necessary steps for streamlining the services or face criminal proceedings. He underlined the importance of uninterrupted internet services for transmission of important election-related information and smooth operation of online apps like cVigil, New Suvidha Portal etc during the election process. The telecom operators were asked to install boosters in all mobile towers to enhance their signal efficiency. Also, he urged upon to ensure no OFC breakdowns. The representatives of telecom companies were asked to take all necessary and timely measures.